For Tribeca Associates, Arisohn + Murphy curates a rotating art exhibition in the beautiful lobby of 130 West 42nd Street. Impeccably designed with white marble elements, high ceilings, and black Eames chairs, the sleek design and sophisticated atmosphere provides the perfect canvas for vibrant and edgy installations. Arisohn + Murphy look to emerging and more established local artists with exciting and contemporary styles, avoiding generic office art. Not only does each exhibition create a more aesthetically engaging experience for tenants and visitors, they also serve as a meaningful way for the client to support local and emerging artists in New York City. Our first installation featured artist Amanda Wachob, a New York City-based artist internationally known for pioneering the watercolor tattoo movement and bridging the gap between tattooing and fine art. 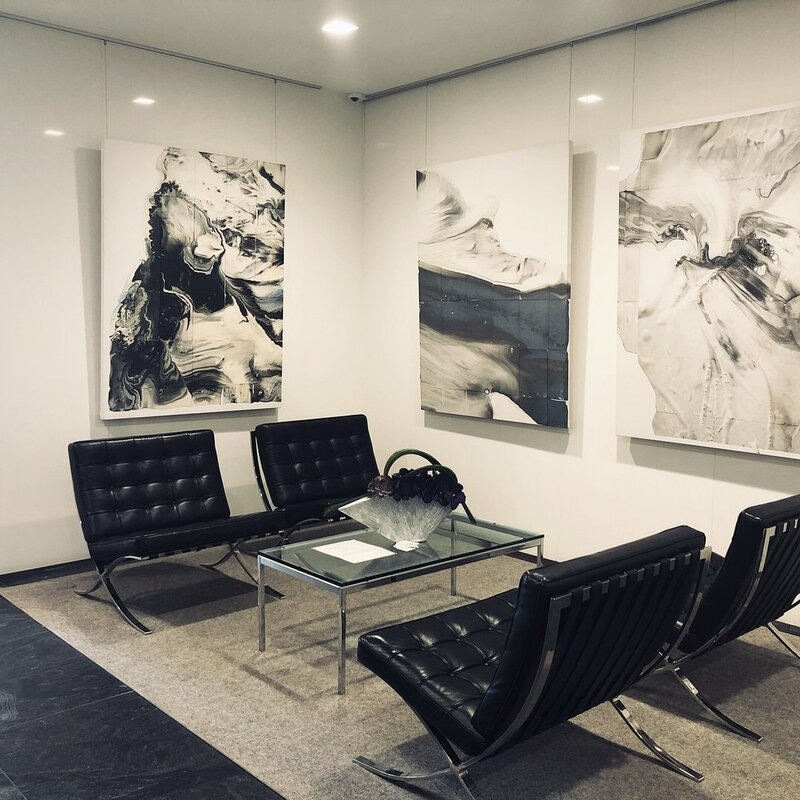 Four of her recent large-scale monochromatic tattoo ink on tattoo paper paintings were installed complimenting the color-scheme of the lobby while also activating the space with their large-scale and dramatic energy. For our second installation, we worked with local Queens artist, Patricia Zarate, who creates vibrant color blocks with thin layers of paint building up her surfaces layer by layer. 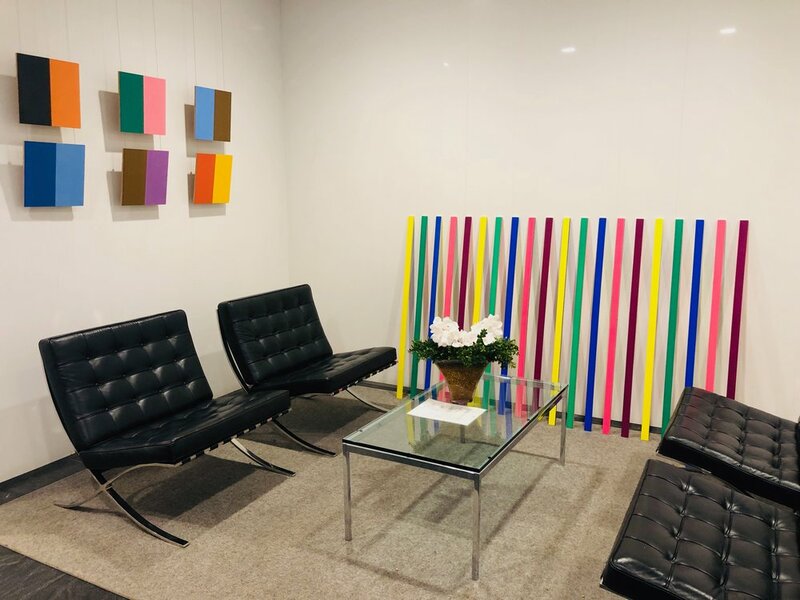 With a more installation focused approach, A+M was able to bring the art into the space further enmeshing the installation and lobby for passerby’s. What we do: provide multiple options for curation for each rotation, generate all loan and consignment agreements, source fine art insurance, oversee installation and deinstallation along with sourcing all associated vendors, and produced all written collateral.